In the foothills and mountains of the Pyrenees, autumn is a time when colour, sound, sight and taste threaten to overload the senses. It’s a wondrous, special time of year that we soak up greedily in the knowledge that winter is just around the corner. 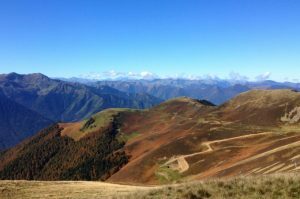 In autumn, the wildlife of the Pyrenees go into a frenzy of activity as their biological clocks become aware of the impending arrival of winter. 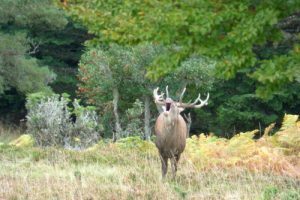 The red deer rut is the biggest indicator of the transitioning seasons and to see it in action is a simply unforgettable experience. The rut is testosterone-fuelled territorial behaviour. The stags’ sole aim is to gain territory from rival males and earn the right to mate with the females in the herd. The bellows of the stags are at their most strident and these magnificent animals at their most active at dawn and at dusk. You can count on our local guides to take you to the safest places from which to observe and photograph their behaviour. The brown bears also sense the shortening of the days and have hibernation on their minds. They spend as many hours of the day as possible feeding on wild fruits and nuts. Their aim is to top up the reserves on which their bodies will feed during the lean winter months. 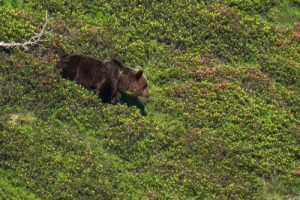 There only around 40 brown bears in the whole of the Pyrenees chain and this population is concentrated in the central Pyrenees. Thanks to our expert local guide, we’re giving you the unique opportunity to spend 4 nights camping in the bears’ natural environment in the Spanish Pyrenees. There is no better opportunity for the chance to see and photograph this magnificent animal in the wild. The Pyrenees are on the migration path for numerous species of birds that are making their way back to the warmer climes of Africa where they will spend the winter. 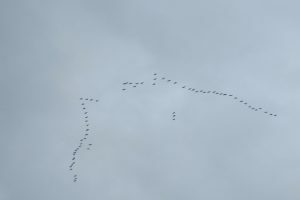 In the autumn, if you are hiking in the mountains, listen out for the un-mistakable flight call of the cranes. You’ll no doubt hear them before you spot the tell-tale v-formation of the flock in the skies overhead. In the foothills, you may see flocks of hundreds of swallows, martins, meadow pippits, grey and yellow wagtails, wheatears and warblers as they use the foothills to break their journey south. The central Pyrenees are largely made up of mixed deciduous woodland which are a sight to behold as the colours change. Beech, chestnut, oak and silver birch as well as native and field maples, they all take on a rich palette of reds, burnt orange and yellow. The best time for autumn colour in the foothills is late October through until the end of November. At dusk, as the sun descends, the hillsides seem to be on fire as the dying light hits the richly coloured foliage. At higher altitudes it’s the changing colours of the dying bracken, heather and bilberry bushes that enrich the mountain landscape. One of the huge pleasures of autumn is the opportunity to indulge in Nature’s rich bounty. 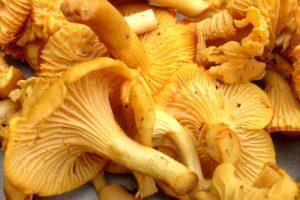 Our local hiking guides can help you to tell the difference between your girolles and your false chanterelles. They also know the best spots at which to fill your basket for that tasty wild mushroom omlette! Collect windfall apples along the way and you will most likely be sampling varieties that are native to this corner of the world. Pick juicy, sweet figs from the low hanging branches of roadside trees and collect baskets full of walnuts before they are rustled away by the almost black red squirrels that dart between the trees. Of course it’s impossibe for us to give an accurate answer as the weather is a fickle beast. But September traditionally brings with it some relief from the heat of the summer months. The weather in the autumn in the Pyrenees is generally stable with comfortable temperatures into the low and sometimes even high 20s C. Days are usually sunny and dry and the mornings may be atmospherically misty in the valleys. Occasionally it may be necessary to get high to escape the cloud inversions that linger at lower altitudes. Such phenomenons do however make for some amazing photographic opportunities. The Pyrenees are a veritable adventure playground all year round, but in autumn some sporting activities really do come into their own. We encourage enthusiastic hikers to come and get their last hiking fix before the high mountains are turned over to the winter sports enthusiast. 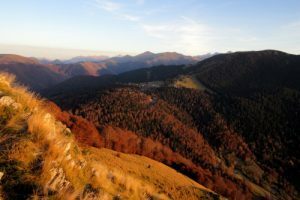 For the same reasons, autumn is the perfect season for trail and mountain runners to discover the numerous high mountain circuits that won’t be open to them for much longer. 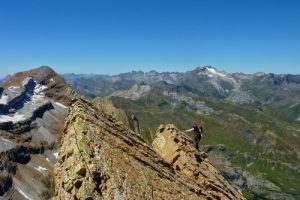 Alpinists have ideal conditions for tackling the numerous ridge lines or scrambles that are offered by the 3000m peaks in the central Pyrenees. In the autumn, the roads are blissfully quiet and this combined with the more amenable temperatures makes it the ideal season for cycling the cols of the Pyrenees. Mountain bikers appreciate the perfect temperatures at this time of year and the great state of the sublime singletrack in the Luchon area. The impressive limestone outcrop of Troubat in the foothills of the central Pyrenees is a mecca for climbers in the autumn. Cooler conditions makes for grippier rock and better hand and footholds. The views from up high are stunning as the colours change. The price of flights drops significantly in the autumn. 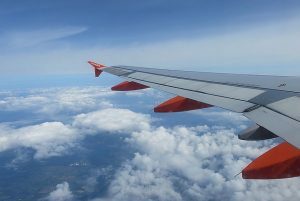 Budget airlines such as Easyjet, Flybe and Jet2 frequently have seat sales with prices from as little as £50 return into Toulouse! Bargain! B&Bs and hotels drop their prices in the shoulder season too, bringing a stay in the area within reach of everybody. Autumn really is the perfect time of year for an outdoors adventure holiday in the Pyrenees. Drop us a line and we’ll tailor make your very own trip to include all of the activities that you love to do. We’re looking forward to seeing you! Thanks Shona and yes indeed, every season in the mountains and foothills of the Pyrenees has its own beauty and attraction :-) But autumn will always remain my favourite season here. Wow! What gorgeous fall colors! I'm a hiker and the hubby is a mountain biker. These mountains look perfect for both of those activities. Hi Carmen and many thanks for your comment. 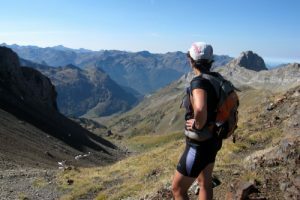 Yes, the Pyrenees are indeed an ideal destination for the hiker, mountain biker, road cyclist and any outdoor sports loving enthusiast. Why don't you come and discover them for yourselves! I also coordinate trips for groups and schools which may be of interest to you? The Pyrenees looks absolutely fabulous! You have a great array of wildlife. I hope I get to visit one day. Great post.